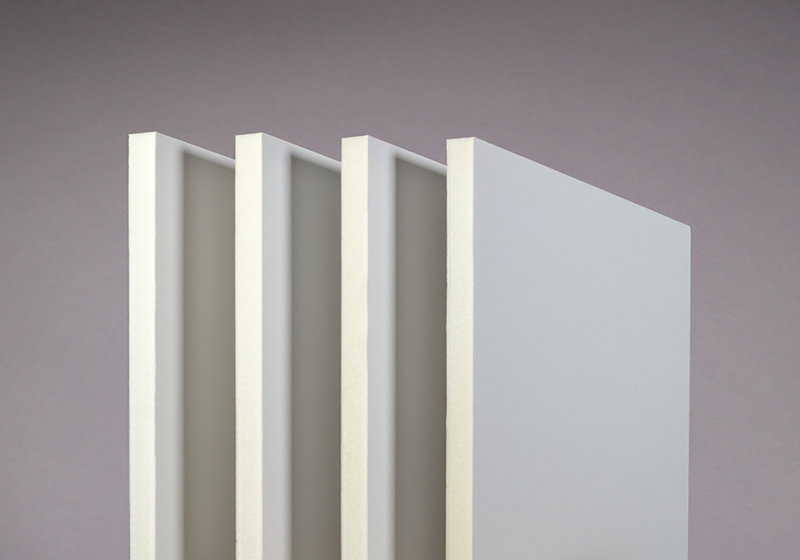 FOAM-X® features a high quality, rigid, low density polyurethane core between two white recycled paper liners. FOAM-X® features a high quality, rigid, low density polyurethane core between two white recycled paper liners. It offers you everything that you would wish for a lightweight, indoor, all-round foamboard. FOAM-X® sheets can be cut easily with rigid general purpose knives (cutter knives). They can also be cut with so called sheet cutters. A significant advantage of using these machines is the absence of dust and chips. If guillotine shears are used, buckling and some rounding on one side of the cutting edges are inevitable. On some FOAM-X® print applications the thin and delicate ink layer could be protected by a film laminate or topcoat of clear scratch and UV resistant lacquer. The liners of FOAM-X® sheets can be screen printed to high resolution and edge definition with inks formulated for paper. Inks containing high levels of solvent should be avoided and care must be taken to avoid distortion if water based inks are used.